Faber CLAS30SS 30-In. 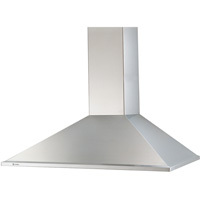 Classica Wall Canopy Range Hood in Stainless Steel is a chimney-style range hood that is designed to offer a high-end look. A traditional styling, solid performance, and standard features offer the ability to convert to a ductless range hood. With 10 minute intensive speed settings and 3 speed, blue LED electronic controls, indicate the current speed and lighting on or off. Faber CLAS36SS 36-In. 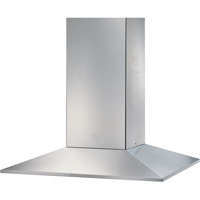 Classica Wall Canopy Range Hood in Stainless Steel is a chimney-style range hood that is designed to offer a high-end look. A traditional styling, solid performance, and standard features offer the ability to convert to a ductless range hood. With 10-minute intensive speed settings and 3 speed, blue LED electronic controls, indicate the current speed and lighting on or off. Faber SYNT30SS 30-In. Synthesis Wall Range Hood with 300 cfm Blower is a traditional chimney style canopy range hood that offers a high end decorative look. Traditional styling, solid performance, and standard features offer the ability to convert to a ductless range hood. An integrated control panel, 3-speed LED electronic controls and 10-minute intensive speed settings indicates the current speed. Faber SYNT36SS 36-In. Synthesis Wall Range Hood with 600 cfm Blower is a traditional chimney style canopy range hood that offers a high end decorative look. Traditional styling, solid performance, and standard features offer the ability to convert to a ductless range hood. An integrated control panel, 3-speed LED electronic controls and 10-minute intensive speed settings indicates the current speed. Faber SYNT36SS300 36-In. 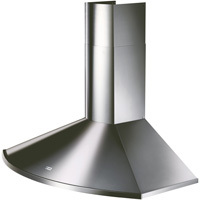 Synthesis Wall Range Hood with 300 cfm Blower is a traditional chimney style canopy range hood that offers a high end decorative look. Traditional styling, solid performance, and standard features offer the ability to convert to a ductless range hood. An integrated control panel, 3-speed LED electronic controls and 10-minute intensive speed settings indicates the current speed. Faber TEND36SS 36-In. 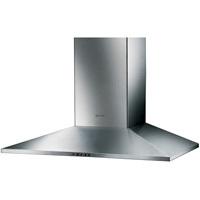 Tender Wall Mount Vent Range Hood with 600 cfm Internal Blower is designed to offer a high-end decorative look. 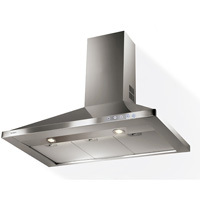 Traditional styling, standard features, and solid performance make the Tender a great choice in canopy wall range hoods. A LED electric control panel, 3-speed controls and 10-minute intensive speed settings indicates the current speed and if the lighting is on or off.